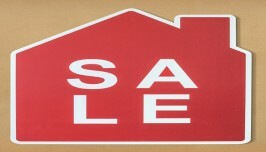 Investing in real estate has always been touted as being one of the safest avenues for investment. It is a tangible asset that can help you generate an income as well if you rent it out. However, when it comes to investing in real estate, the location also counts for a lot. There are specific benefits that you will be able to avail if you decide to invest in property in Ghaziabad, whether for self-use or as an investment. Ghaziabad is a city that is located away from the hustle and bustle of the main city, but is still close enough to offer an easy commute to the residents. From highways and well-constructed roads to the metro rail, Ghaziabad is seamlessly connected to other parts of the NCR, which is an added convenience for the residents of the city. 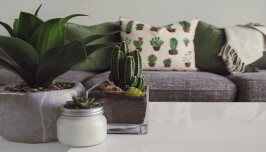 Builders and developers have recently started paying a lot of attention to Ghaziabad, and as a result, there are now several projects in the city offering residential options. With this, there is a great range of property options that people can choose from, based on their needs and budget. For example, if you are looking for a simple 2 BHK flat for sale, you will have a number of options, ranging from affordable to luxury flats, to choose from. 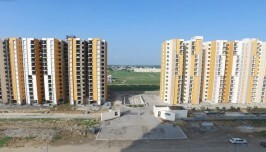 There is a lot of infrastructural development that is taking place in Ghaziabad. As the residential property market of the city expands, so is its commercial market. As more and more people start living in the city, more and more amenities are being introduced. Now, at Ghaziabad, from schools and hospitals to entertainment and shopping complexes, you can find all the amenities you desire in close proximity to where you live. 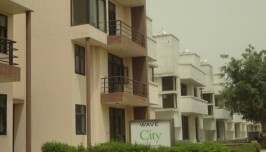 Ghaziabad itself has a number of industries and major companies established and it also offers easy connectivity to offices in the rest of NCR. This basically offers a two-fold benefit. If you are looking for flats in Ghaziabad for your own use, you get easy access to several workplaces; and if you are interested in investing in property in Ghaziabad, you can be assured of a good rental income as there are a number of people moving to the city for work at all times. There’s no denying the fact that Ghaziabad is an up and coming city in the NCR and investing in property right now will definitely be a good idea. Here’s What you Should Know About "Affordable Housing"